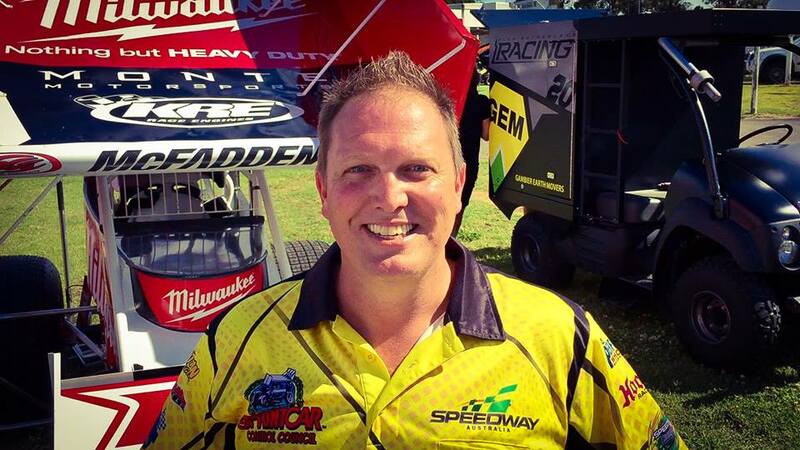 Popular Speedway commentator Benny Bishop returns to QSS World Series Sprintcars in season 2017-2018. The voice of WSS heads into his 4th campaign excited by the positivism generated by the Drivers and Teams, Promoters, Sponsors and the Fans towards the 31st annual tour - SHOWTIME. The Devil Swing has a personal appeal for Bishop, “I met my wife Vanessa in Tasmania and my 3 children were born in the Far North West of the State, so I look forward to meeting up with friends and family as well as the racing.” Bishop said. One of those he will catchup with is Tasmanian Sprintcar Association Series Champion Mark House. House is enjoying a strong season and looks forward to being the local thorn in the side of all the contracted teams driving his Statewide Turbos and Diesel Injection No.14 Cool powered by KRE. Bishop is expecting a huge turnout of fans for the Devil Swing which is scheduled for 3 rounds of competition beginning Friday February 2 at Latrobe. The Gulf Western and Independent Oils Latrobe Speedway will host Rounds 8 & 9 back to back with Solo Hobart Speedway hosting Round 10 on Saturday Feb 10.